As I jump from couch to couch, my spirit is unsettled in this season. I am not anxious or worried or tired because of my circumstance (I actually thrive in surprises and unknowns). No, my spirit is longing for Jesus. As He is singing over me, my songs respond in earnest with a yearning to be closer, held in the sovereign and sufficient hands of my Savior. 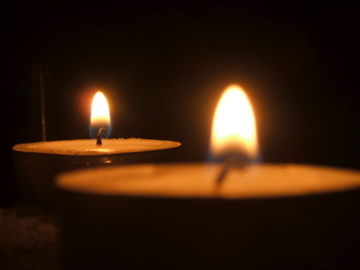 Advent Prayer Requests by Brett McCracken show a beautiful plea for the Lord’s returning. If you want to read something that seems spun in wonder instead of penned, check out Ann Voskamp’s reflection What if We Renamed Christmas. Here’s an advent devotional guide from Desiring God and Noel Piper. I’m reflecting a bit tonight (this morning) on the nomadic life of Christ and how His home was Himself. He brought home around in His presence and then invited people in. He made His face a shining welcome and never turned anyone away. Christ invites us to understand what it means to abide in Him – to live in His presence, experience His joy, and be overwhelmed by gratitude because we do not deserve His company. Advent is about Christ making Himself nothing so we can be made perfect in Him. And through Him, we stand before God with crazy thanksgiving and unashamed freedom. This entry was posted in culture and current events, Recommendations, theology and philosophy. Tagged advent, Christianity. Caroline, I seriously need to talk to you. Today I was given a card, not signed, and the handwriting looks like your. Mr. Garrison gave it to me, but he refuses to tell me who sent iit… soo was it you? I lovee you!